27 July 2003: The description of the system of government in the United States of America as ‘federal’ refers to the fact (as the name, deriving from a Latin word meaning ‘league’ or ‘covenant’, implies) that it is a system that involves the cooperation and agreement not only of various entities spread out horizontally, as it were, but also vertically, in the sense that power and responsibility are shared among the three levels of nation, state and municipality. In the early nineteenth century, the relative youth and ineffectiveness of many of the state governments, together with the urgency of precisely the sort of problems that we have come to think of local government as best positioned to address, resulted in the waxing of the latters importance in the United States. The county government became the focal point of administration and for the dissemination of information. Indeed, the county is still the basic political category, although it has more power today, as a rule, in rural than in urban areas, where most local power is held by incorporated municipalities. Even so, the relationship between the state and local government, whatever the nature and style of the latter, is far from simple, with local governments in taut suspense between the need for a degree of independence in order to fulfil their function and their need for the wherewithal from the higher and broader levels of government to be able to do just that. The development of the sense of locality, in the form of the county, as the entity with which citizens practically and emotionally identified, to some extent accompanied a growth in the feeling of the role of the state, rather than the nation, as the larger emblem of identity. An interesting point is that it was only after the Civil War that Americans began to use the term the United States as a proper name that takes a singular verb. In general, American local governments are modelled on the British system (going back to shires) of elected councils. The difference is that in the American system there is also a strong executive level. Local governments in the United States are either territorial or corporate. Examples of the territorial unit are some county governments and local school districts. A corporate government is one based on a charter, such as the state may grant to a city, town or village; these city charters are similar to constitutions, only (of course) on a smaller scale. Such charters are approved and authorized by the state, and they must not contradict state law. A kind of exception to their necessary complete harmony with state realities is, perhaps, to be found in those cases where corporate governments have acquired some form of home rule, whereby they can change their own composition and laws, and the state government has no say in the matter. In such instances, however, state law is again the more puissant, and no conflict is possible. In other words, cities may adapt state laws to suit them, but not to the point of anything resembling opposition. The relationship, in terms of delegation of authority, is thus much more hierarchical between state and locality than it is between the federal government and the state. The increased involvement of the national government in the affairs of levels of government below it that resulted from Franklin Roosevelts New Deal programs in the 1930s was not confined to the states. The new cooperative federalism led to such developments as the 1972 General Revenue Sharing Act, whereby a proportion of federal income tax money found its way back to local, as well as state, governments. Numerous local governments, such as Buffalo, New York and Oklahoma City, now actually depend on federal funding. One bump on this road is turning out to be that the local targets specified by the federal government for particular grants may not be the ones that local officials consider correct or necessary. Such divergences in point of view often result in not an agreement to disagree, but an agreement on the need to cooperate. The aspect of the Constitution alluded to earlier  the one where any powers the federal government does not claim fall to the states  has meant, in recent times, in some ways, the growth of the independence of states and localities; local police may not, for example, be required by the federal government to perform minor administrative tasks. What were at one time the relatively clear lines of demarcation between local and higher levels of government in the United States, then, have become much less sharply defined. Currently, there are about 3,100 counties, most of them suburban or rural. There is no part of a state that is not also part of a county, except in states like Virginia, where a city may be independent  that is, not part of a county. There are cities like New York, that consist of more than one county: each of its five boroughs is one. French influence is in evidence in Louisiana, which has parishes instead of counties. Nevertheless, they are, to all intents and purposes, the same thing. There are no counties, only boroughs, in the far northern state of Alaska. A further refinement of complexity is in the doing-away-with of virtually all county functions in such states as Connecticut. About eighty per cent of American citizens now live in large cities, suburbs of cities, or towns. Peoples needs  from police to sanitation, education to fire protection, housing and public transportation  are seen to, most directly, by city governments. There are, broadly speaking, three forms of it: the mayor-council form; the commission form; and the city or council-manager form. In the mayor-council form, which is the oldest of the three, there is (not surprisingly) a mayor and a council consisting of a number of members, sometimes called aldermen. The structure is patterned on that of the state and federal governments. While the mayor is elected at large, the aldermen are sometimes elected, in other cases selected from wards or districts. The mayor is head of the executive branch, presiding over council meetings, appointing chiefs of departments, perhaps with the councils approval, and is often the budgetary officer of the city. He can veto ordinances passed by the legislative branch, the council. Two forms of mayor-council rule  the strong-mayor and the weak-mayor  have evolved, although they have the points already enumerated in common. 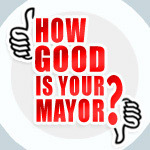 The strong mayor can appoint and remove heads of city departments; few officials, in that scenario, are elected. He is the preparer of the budget, and has power of veto. Throughout the 1990s, the strong mayor-council form of city government was most popular in cities where the form of government has been decided by the state, and declined in popularity in home rule cities (already mentioned), where the citizens of the city have and exercise the right under state law to decide their form of municipal government. Where the mayor is a significant policy maker, an administrator may be given responsibility for daily operations. The legislature, in general, adopts the budget and general policy positions, passes resolutions with legislation, and audits the governments performance. The mayor in the other kind of mayor-council city government, the weak mayor, has more limited powers of appointment, removal and veto, and the elected officials and boards are more numerous. The councils more extensive legal powers preclude his being a chief executive in any truly meaningful sense. The commission form of city government in the United States combines, in one group of usually at least three, and often five or seven, officials, the executive and legislative dimensions. It is also, sometimes, called the Galveston Plan, after the town in Texas where it originated in 1901 (and which has since abandoned it). All members are elected, and each commissioner is responsible for at least one city department. One of them is the chairperson and may be called the mayor, but he or she has no extra powers. Historically the commission form is regarded as an important manifestation of the impulse in the direction of efficiency through employment of experts, but others have seen that tendency in a negative light  as a movement depriving those without any particular expertise  the working class, in other words  of their influence. It has also been seen as a stage in the development of the city manager or council-manager form of municipal government. Commissions whose members all have different interests but equal powers have a predictable predisposition to unresolved disagreement. Bringing in a business manager was, and has increasingly been (the commission plan has rarely been initiated since the First World War), seen as the solution. The city manager has most executive powers, including those pertaining to law enforcement and service provision. He carries out the decisions of the elected council, who decide on ordinances and policy, and he, again, produces the city budget. He is thus not elected, but hired, and has no term of office, continuing in his or her role while it meets with the requirements of the council. Yet other forms of local government in the United States include the town meeting, the representative town meeting, the township, the borough and the village. Town meetings are largely a phenomenon of New England states. As often as necessary, but at least once a year, a towns registered voters meet, in open session, to elect officers, debate issues and pass laws. Practical issues such as taxes, budget and building and road construction and repair are decided. The board officers are called selectmen, board of supervisors, town council, or something similar. The representative town meeting is very like the town meeting system, except that, while all citizens may attend meetings and take part in the debates, the right to vote belongs only to the (large) number chosen to be representatives. In a township, there is usually a mayor and three, four or five committee members, who are elected, and who hold all legislative powers not held by the mayor. An administrator may be appointed to discharge executive functions. A boroughs mayor and six members of council are elected, and the mayor only votes to break ties. The council is the legislature, and the mayor appoints officers. In a village, there is, usually, a board of trustees with five elected members, one of whom has mayoral powers. Two significant problems of municipal government in the United States are where urban areas are divided among a number of different city governments (such as New York), and the diminishing of the tax base and finances of cities through the movement of the middle class to the suburbs. The inability of property taxes to maintain inner cities has led to greater reliance on other kinds of taxation, including sales and commuting taxes. In the past ten years, federal and state programs that stimulate investment in infrastructure by the private sector have resulted in major investment in American cities. Arrangements with strengthening collaborations between the private and the public sectors as their goal have been: credits for or exemptions from local sales and income tax; tax abatements; tax-exempt municipal bonds; and state funding for clean water. The Transportation Equity Act for the 21st Century (TEA-21) of 1999 is the biggest infrastructure program in the United States, and it is about finding new ways for the private sector to access federal resources through innovative legislation, such as state infrastructure banks and revolving funds. The grant programs of prior decades have given way to private funding and greater local government control; more than 250 funding programs have been made available for urban redevelopment and construction of affordable housing. Over $100 billion has been marked for urban transportation by the TEA-21, while New York, receiving only $200 million from the federal government for water infrastructure, has obtained $460 million in loans. In the context of these developments, some think that the home rule system of city government in the United States is increasingly worth a closer look for the greater legal authority it confers on localities.